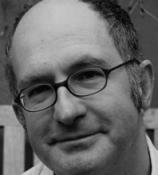 John Lanchester is the author of five novels, including THE WALL, the bestselling DEBT TO PLEASURE and CAPITAL, as well as several works of nonfiction, including I.O.U. and HOW TO SPEAK MONEY. His books, which have been translated into 25 languages, have won the Whitbread First Novel Prize, the Hawthornden Prize, and the E. M. Forster Award of the American Academy of Arts and Letters. He is a contributing editor to the London Review of Books and a regular contributor to The New Yorker. He lives in London. Ravaged by the Change, an island nation in a time very much like our own has built the Wall --- an enormous concrete barrier around its entire coastline. Joseph Kavanagh, a new Defender, has one task: to protect his section of the Wall from the Others, the desperate souls who are trapped amid the rising seas outside and are a constant threat. Failure will result in death or a fate perhaps worse: being put to sea and made an Other himself. Beset by cold, loneliness and fear, Kavanagh tries to fulfill his duties to his demanding Captain and Sergeant, even as he grows closer to his fellow Defenders. A dark part of him wonders if it would be interesting if something did happen, if they came, if he had to fight for his life. In 2008, Bear Stearns and Lehman Brothers are going under, and the residents of Pepys Road, London --- including a banker and his shopaholic wife, an old woman dying of a brain tumor and her graffiti-artist grandson, and a shadowy refugee who works as the meter maid --- are receiving anonymous postcards reading “We Want What You Have.” Who is behind it? What do they want?